Inside Helmut Newcake’s two Parisian locations, the bakery’s motto says it all: “it’s gluten-free paradise.” Since opening in 2011, Helmut Newcake has truly brought this statement to life, with its gluten-free renditions of traditional French pastries, full weekend brunch menu, and well-stocked marketplace. 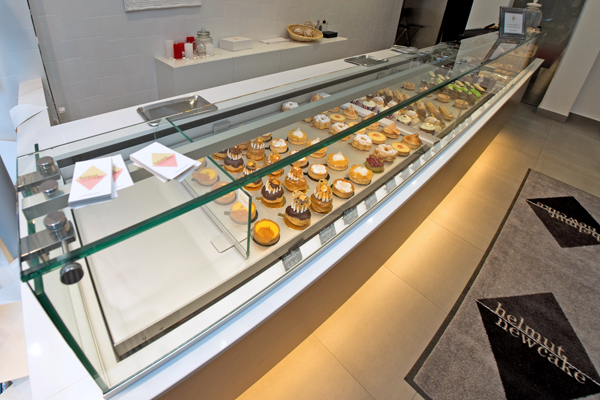 In 2014 the patîsserie took steps to make Paris even more gluten-free friendly and paradise just a little more accessible by opening a second location. 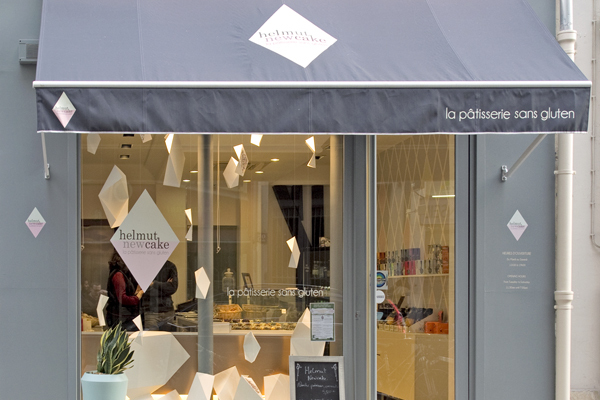 With shops near la Madeleine and Canal Saint Martin, Helmut Newcake is always our first gluten-free stop in Paris. The patîsserie is the creation of husband and wife team François and Marie Tagliaferro. An experienced pastry chef who has been gluten-intolerant for decades, Marie decided to adapt classic French recipes so that she and other gluten-free eaters could enjoy them. After testing out flour mixes and finding herself dissatisfied with the results, she began to blend her own flours. She now bakes with a variety of grains, all of them organic. As gluten-free cuisine began to grow in popularity, Marie rose to the occasion and diversified her pastries. 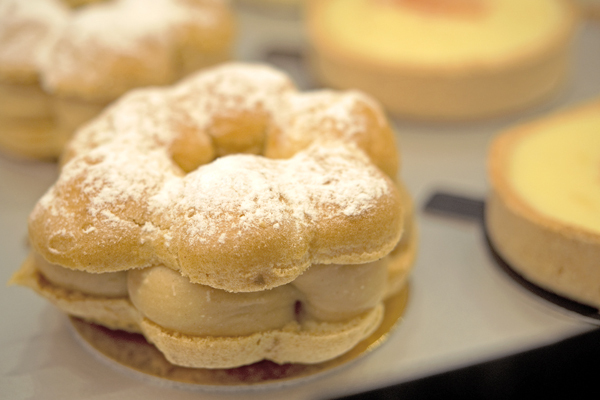 When you visit Helmut Newcake—which you must—you’ll find dozens of both traditional and innovative new pastries calling your name. 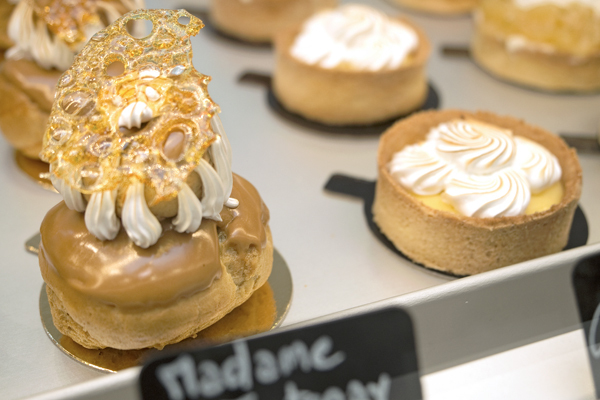 For a traditional confection, try the Paris Brest, with airy wheel-shaped choux pastry and rich praline cream, or la Madame de Fontenay, with two puff pastry buns filled with cream and topped with a lacy sugar design. For something more avant garde, try one of the delicately layered cakes, fruit-topped tarts, or luscious éclairs. 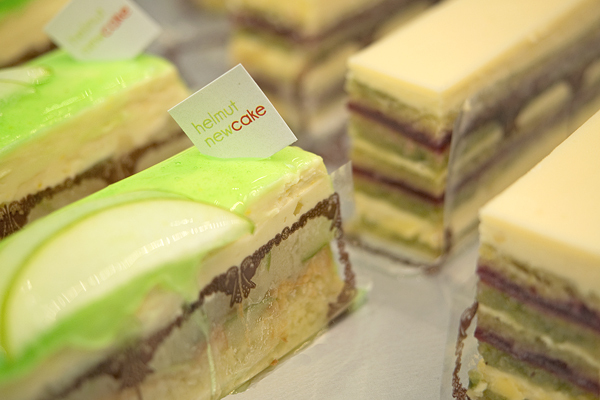 There isn’t a single item at Helmut Newcake that isn’t absolutely indulgent and delicious. If it’s just a sweet or two you’re after, take your gorgeous pastries to go at la Madeleine location in the 9th arrondissement. If you’re seeking a complete meal to complement your sweet tooth, Helmut Newcake has you covered in that department as well. With an impressive brunch on Sundays to lunch specials during the week, you can sit down to a delicious gluten-free meal at the original Canal Saint Martin location in the 10th arrondissement. We recommend visiting both for the full experience! Where? Visit Helmut Newcake at two locations in Paris: la Madeleine, 28 rue Vignon, 75009 Paris (+33 9 81 31 28 312) and Canal Saint Martin, 36 rue Bichat, 75010 Paris (+33 9 82 59 00 39).